California State Senator Alex Padilla (D-Pacoima) announced that Governor Jerry Brown has signed into law a bill that makes it clear landlords can – and should, prohibit smoking in rental units. With the Governors action, we will see the availability of smoke-free, multi-family housing grow throughout California, said Senator Padilla. While more than 86% of Californians do not smoke, there is currently very little smoke-free housing in California. Living in multi-family housing should not compromise the health of renters or their children. This new law will provide tenants with healthier choices, said Padilla. Currently, a landlord may include terms in a rental agreement such as restricting pets, noise, and specific furniture such as waterbeds. Despite the negative health effects of secondhand smoke there is nothing in current law that explicitly permits a landlord to restrict smoking. SB 332 will change this while complying with all federal, state, and local requirements governing changes to the terms of a rental or lease agreement. Court cases around the country are showing a willingness to hold landlords responsible for tenant illnesses caused by secondhand smoke. 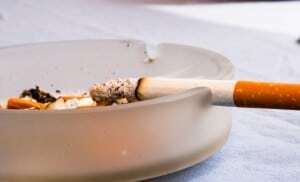 In addition to causing health problems, smoking in rental units increases costs for landlords seen in higher insurance premiums, greater fire danger, and higher move-out cleaning costs. A number of studies have shown that renters who prefer non-smoking buildings will pay more rent for the privilege. For more, see Renters Willing to Pay More for Nonsmoking.